Jesse Finkelstein and myself would love you check out the cool music on both our Blue Duchess and Shining Stones labels. Great artists and recordings that deserve to be heard! Super Bundle Sale! Any 3 cd's for $20 ... Only For a Limited Time Shipping included within the US! Duke Robillard And His Dames Of Rhythm is a delightful collection of swing tunes from the 20's and 30's. 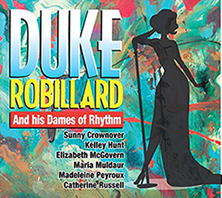 The record features Duke with an all-star lineup of women voices including Madeleine Peyroux, Maria Muldaur, Elizabeth McGovern from Downtown Abbey and Catherine Russell. The recording has a generous 15 tracks with over an hour of sultry swing. A must have for fans of Jazz & Blues! PRE-ORDER NOW! $15.00 includes shipping! 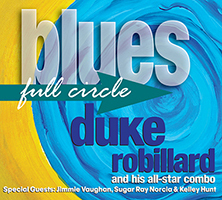 Blues-Full Circle - with special guests Jimmy Vaughn, Sugar Ray Norcia and and Kelley Hunt is due for street release September 9th but you can get to here NOW! Duke will gladly autograph it for you if you request it. Blues-Full Circle is bound to be hailed as one of his greatest recordings. ORDER NOW! $15.00 includes shipping! 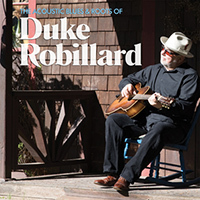 The Acoustic Blues and Roots of Duke Robillard was named "Acoustic Blues Album of the Year" for the 2016 Blues Music Awards and #45 of the 50 best blues albums of 2015 by Living Blues Magazine. Duke will gladly autograph a copy for you if you request. A Decade in the Making, this Latest Album from Multi-Award-Winning Guitarist Duke Robillard Includes Special Guests Maria Muldaur, Jay McShann, Jerry Portnoy and Sunny Crownover. 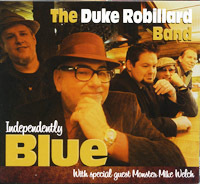 Our virgin Blue Duchess release will be The Duke Robillard Jazz Trio's WOBBLE WALKIN' Duke's take on guitar jazz. From the blues to swing era standards and original compositions this is a joyfully swinging set of tunes featuring Duke's ever tasteful guitar and the conversational interplay between bassist Brad Hallen and Mark Teixeira. A must for fans of swinging bluesy guitar! 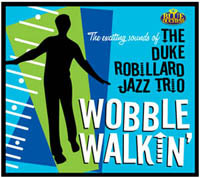 >>> Just in from criticaljazz.com: Wobble Walkin' is Duke Robillard's finest release in over a decade and an absolute must for the collector! EAR WORMS- Pre-orders will ship before release date! 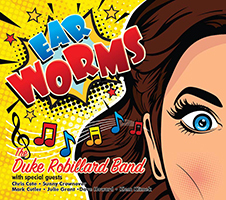 Duke announces a pre-order oppurtunity for Ear Worms, his new album, which will be available in both CD and vinyl formats. Produced by Robillard and recorded at Lakewest Recording and Duke’s Mood Room, Ear Worms features Duke (guitars, vocal) and his long-time band: Bruce Bears (piano, Hammond organ); Brad Hallen (acoustic and electric bass); and Mark Teixeira (drums). Both Bears and Teixeira also sing lead vocal on one track each. Joining them on the sessions, besides some stellar additional musicians are several special guest vocalists: Chris Cote, Sunny Crownover, Mark Cutler, Julie Grant, Dave Howard and Klem Klimek. 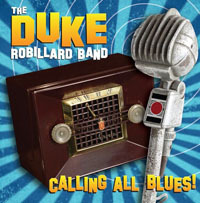 Calling All Blues, the new album from two-time Grammy nominee and multi Blues Music Award winning guitarist Duke Robillard. Calling All Blues is available as a 180-gram premium vinyl LP. The first 1000 LP copies of the new album will include a special song notes insert signed and numbered by Duke, himself. Backing Duke (vocals/various guitars), is his regular band of Bruce Bears (keyboards/vocals), Brad Hallen (bass/background vocals) and Mark Teixeira (drums/percussion/background vocals). They are augmented by special guests Sunny Crownover (lead/background vocals), Rich Lataille (alto/tenor saxes), Mark Earley (tenor/baritone saxes) and Doug Woolverton (trumpet). Calling All Blues on 180 gram vinyl with a hand signed and numbered insert with liner notes by Duke inside. 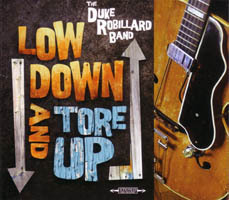 LOW DOWN AND TORE UP - Duke Robillard's latest, rousing and rocking offering is a welcome return to and affirmation of Duke's grittier blues roots and early influences. For over four decades, Duke Robillard has been one of the most respected blues and roots music guitarists working today. This release shows endless creativity in bringing new ideas to blues forms. Fellow New England guitar hero Monster Mike Welch is an important contributor providing Duke with a daredevil foil on all tracks. Duke has worked with Bob Dylan, Tom Waits, Roomful Of Blues, Fabulous Thunderbirds and dozens of blues legends. No more sticky sax pads! PAD-STICK... a simple device made of untreated cotton, stiffened with a nylon interior, for the purpose of cleaning off crud and moisture from sax pads and toneholes. The resolution to a sticky situation.